Our Spring course is fully booked. Our next course will be in the Autumn to express interest see below. Please use the enquiry form link in bold text below to register for our Autumn 2019 course. Beginners Course Enquiry (Just touch this text link an email form will appear). Please include your full name and contact details. Participants must be 8 years of age or over. If you are under 18 years of age on the day the course begins, please also include your date of birth. 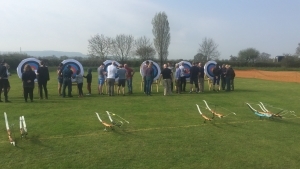 For reasons of safety, to join any target archery club in the UK you will have to complete the Archery GB (Grand National Archery Society) course. 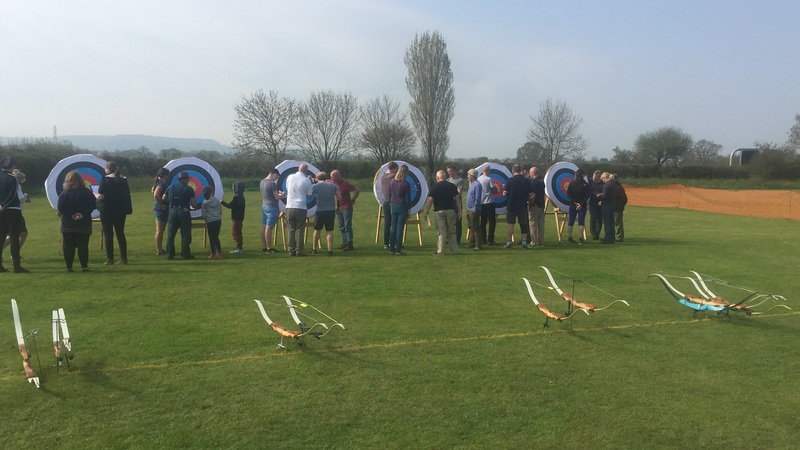 If you have already completed the course with another club, then you will not have to do it again with us although we will need to see your course completion certificate or Archery GB membership card. Our beginners course is generally taught over four Saturdays. It covers all of aspects of archery to a greater or lesser extent. All equipment will be provided for you and matched to your personal needs. The beginners course is an opportunity to discover if archery is the sport for you; then if you would like to continue with the sport, you will be given the option to join our club or any other in the country. Those who do the course have fun and will experience a taste of an ancient sport that everyone knows about but few have ever done. You don’t have to be sporty or athletic because after all “Archery is the sport for all”. After you have completed the course, you will not necessarily have to buy any equipment immediately because we have equipment available for you to rent if you so wish, typically for up to six months, before you decide what you equipment you wish to buy. We can also give you advice on the appropriate, most suitable archery equipment to buy and the best places to buy from in the area. Do you live in the Gloucestershire or South Gloucestershire area? 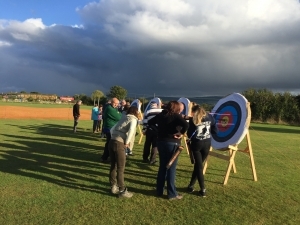 Then why not learn the ancient sport of archery with us, the Bowmen of Minchinhampton?